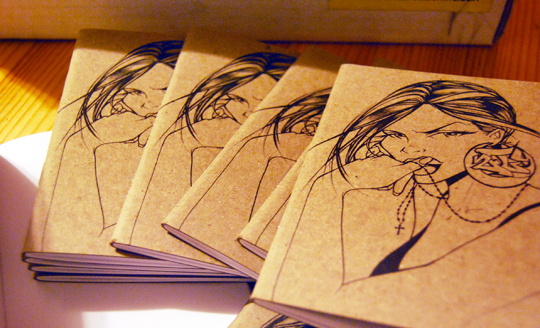 A great gift-giving idea comes to us from TooFly in the form of these eco-friendly pocket size sketchbooks. Perfect for capturing a thought or two, the limited edition books, each signed and number by TooFly, are made from 100% recycled paper and feature her favorite girl mark illustrations. Grab one today and get mad creative or impress a close friend with some unique stationery.